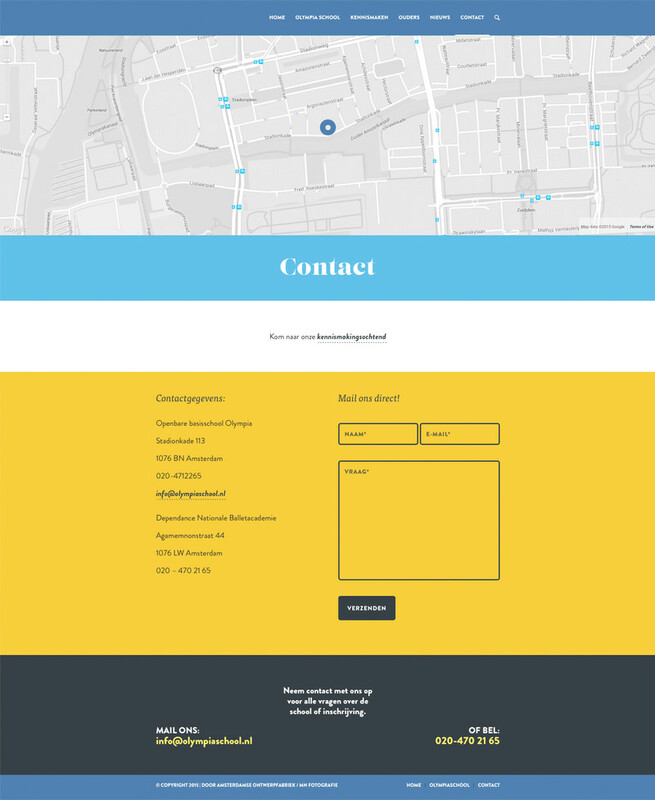 New website for an elementary school in Amsterdam. 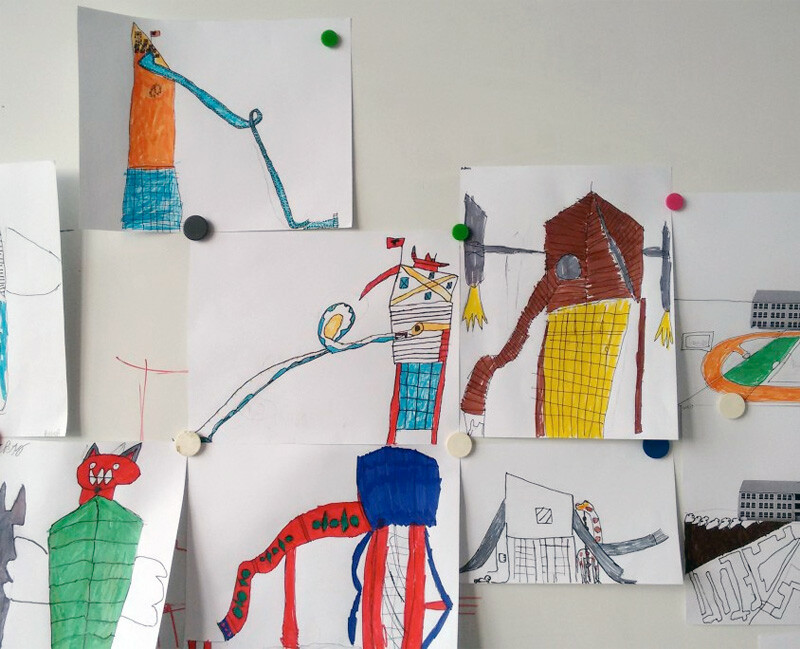 Opening image is a 3D render mixed with drawings made by the pupils of the school. 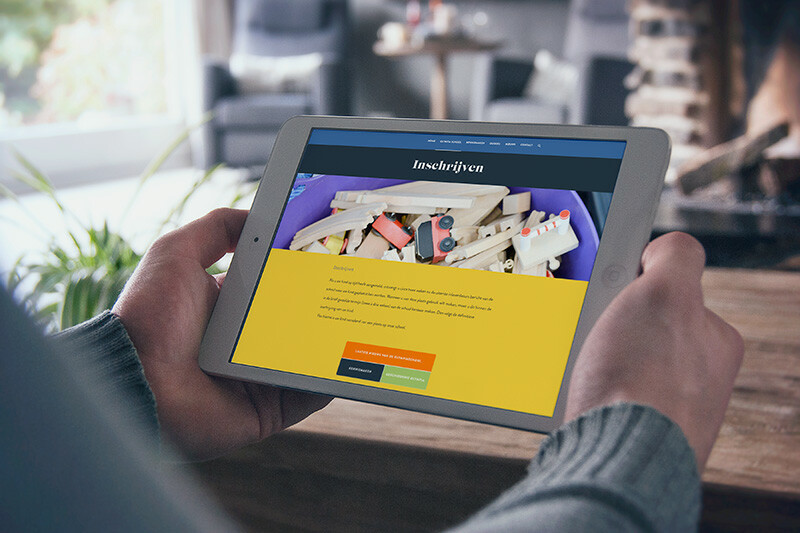 We built and designed the new website for an elementary school in Amsterdam. The main goal was to give an impression of the school’s atmosphere right from the start. 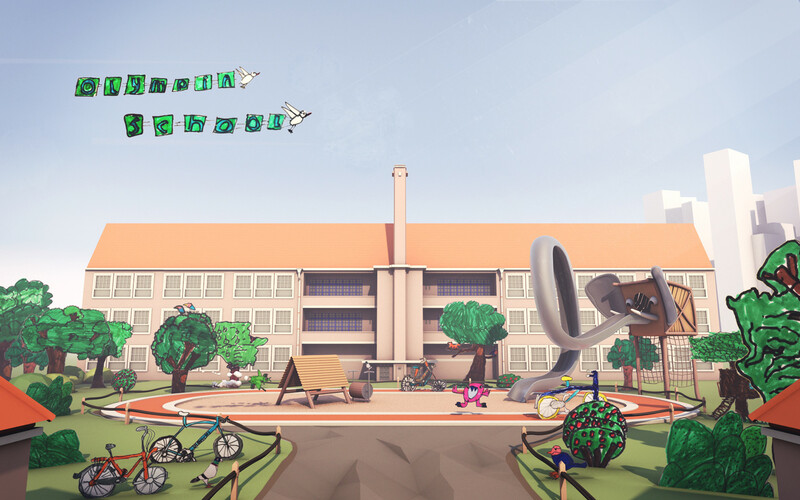 So we decided to start with a full screen diorama showing the remarkable building (built in the 1930’s in the architectural “Amsterdamse School” style) and the playground as seen through the students eyes. 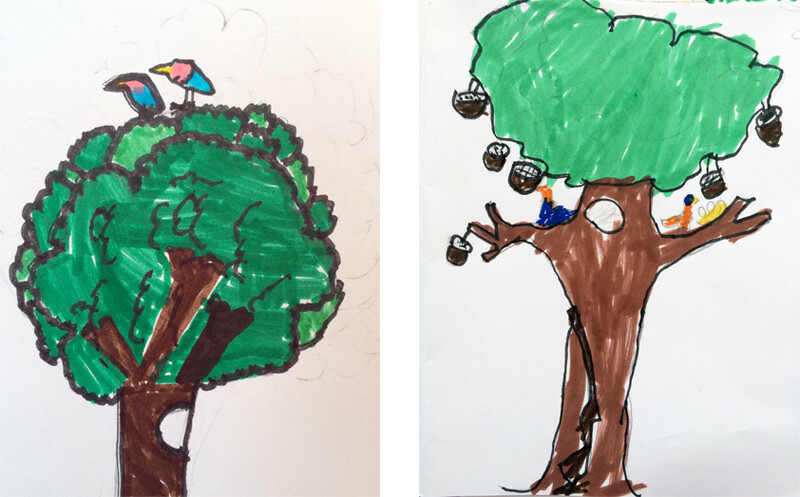 Inspired by The Monster Project 2014 the kids drew trees, clouds, birds and bikes. After that we asked them to give us their interpretation of the school’s playground equipment. It’s great fun to see the fortresses and looping slides that they probably actually see while playing at school. We picked the Elephant Looping Slide to be placed in the foreground of the school. We want to thank the school for working with us on this project. A big thanks to the visual arts teacher and of course all the children that worked along on the project! Bicycles are very common in Amsterdam. And they look great! This one is called: "Fantasy Playground Equipment on White Board." The website in action on an iPad.